Safari Construction Equipments participated in Bauma Conexpo India’s second edition which took place at the Exhibition grounds at Bandra Kurla Complex, Mumbai, Maharashtra. 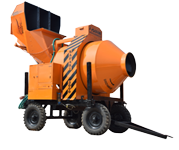 The stagnant market had inspired many construction equipment manufacturers to miss this stage, but as Safari had seen some strong sales & purchase orders in the past few months, decided to display its flagship product JK MINI CRANE along with JK Tough Rider and Reversible Drum Concrete Mixture Machine. Exhibitions like this help accelerate purchase decisions and guide the purchase managers as they can see all construction equipment live at the same time on the same platform. For example customers were easily able to evaluate the pros and cons of Safari reversible drum concrete mixture machine by comparing it one on one with other brand concrete mixer machines. The exhibition was visited by many delegates, traders, purchase managers, builders & contractors from all over India and overseas. Safari ‘s stand was visited by traders and builders from Kenya, Sri Lanka, Ghana and Nepal. Eventually Safari successfully bagged many local and export purchase orders for concrete mixture machine, mini crane and tough rider. Safari’s stand was visited by many reputed construction company’s purchase executives. Plant Purchase Manager – Plant & Machinery from Larsen & Toubro, Ahmedabad, Gujarat. Purchase Manager from Simplex Infrastructure, Kolkata, West Bengal.